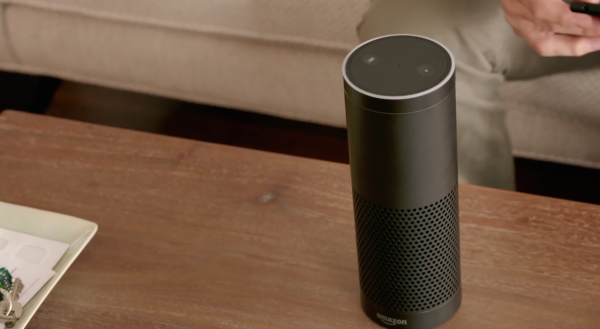 The Amazon Echo is in Jeopardy! Can you help get it out? The Amazon Echo can do a lot of things, from playing music to giving you the news and weather, even controlling your lights. But there are many other tricks as well, and new ones are added all the time. The latest comes with the new update to the Alexa app. Tap the menu button at the top left and choose skills -- there's quite a few and they are listed alphabetically. Scroll far enough and you'll find this latest entry, the game Jeopardy! It's just like the TV show except you'll be asked questions by Alexa, not to be confused with Alex. At the moment it isn't a long game, there are only six questions, but there will be new ones each day. Apparently that's only weekdays as a try last night (Friday) ended with an announcement to come back Monday for a new set of questions. Don't forget that you'll need to phrase your answer as a question, just like the popular TV show. "Who is", "what is" and "where is" are all acceptable. If you forget then the game will remind you. Add another cool and fun thing to the list of what this device is capable of. We'll see what comes next to Amazon's ecosystem.